Everyone needs a refresh from time to time. 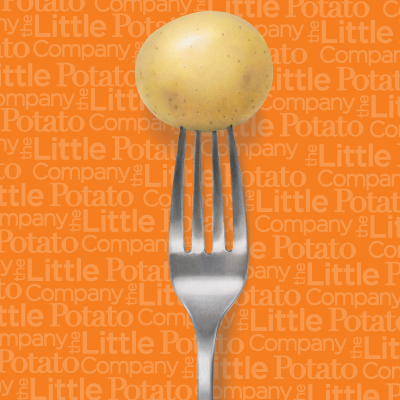 That’s what we’ve done with our Little Potato Company website check it out! The site is playful, colorful and packed with mouthwatering visuals. You’ll find it simple to peruse our Little Potato varieties and products. You may have noticed a slight change in our blog has a quick-to-read and search format, plus we’ve made it easy for you to locate our Creamers in stores near you and find us on social media. We’ve included helpful information in our Frequently Asked Questions. There are two things in particular we’d like to point out. One is our Little Chef Program and Little Chef contest with helpful tips, tools, children-approved recipes, and information about healthy and stress-free cooking with kids. Second, we’ve put our popular recipes —yours and ours—front and center in Recipe Central. We’ve added some nifty features, too. For example, you can scan the latest recipes—One-pan chicken and Creamer potato meal , Potato Donuts and, gotta love this name, Cheesy Hoobie Doos—and see the rating, cooking time and a quick synopsis of the dish. We’ve got new recipe search features to make it easier to find exactly the type of entrée, side dish, salad or snack you’re looking for—with customized search sorting by recipe type, Creamer type, rating, date and key word. Families will be glad to know we now have a Little Chef Approved section in our recipes. Bearing the Little Chef Approved stamp, they’re proven favorites. All teach basic skills, are simple to make, quick to prepare and nutritious (potatoes are part of the daily recommended 4 to 6 servings of vegetables and fruit). These recipes also require few ingredients—most of which you probably already have in the pantry and that children like. Plus, they’re fun! Clearly, we’re pretty excited about our new site. Please take a look and share your feedback. We’ve invested a lot of time and energy to create the very best website we possibly can to better serve you, so let us know what you think? Choose 2 Little Chef finalists—vote now!